One of the youngest durian stalls in Singapore is Melvin’s Durian. Established on June 5, 2016, we can still consider it to be a relatively new player in the durian industry in Singapore. 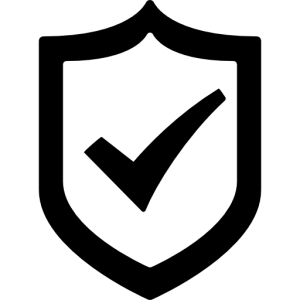 But despite having only two years of experience, the business is already making a name in the industry because of its excellent customer service and high-quality products. While the store is considered to be a newcomer to the industry, the business owner, Melvin, already has more than 10 years of experience in the durian industry. In fact, he was a co-founder of Ministry of Durian. He sources and imports his products from Muar & Pahang. His stocks are also replenished on a daily basis to ensure that all of their products are consistently fresh. We know that prices of fresh fruits, especially durian, can be quite tricky. To keep their clients updated, they published their durian prices on their Facebook page on a daily basis. To help make things easier for their clients and prevent them from experiencing the hassle of going to their store and leaving empty-handed, they also post updates about the availability of their stocks on their Facebook page. The priority of the business is to make things accessible, convenient, and fast for their clients. That is why they have decided to utilize technology to provide their clients the comfort that they need. Because of this, they are open to accepting reservations and inquiries through Whatsapp, text messages, or calls. In addition to that, Melvin’s Durian is also Paylah supportive. 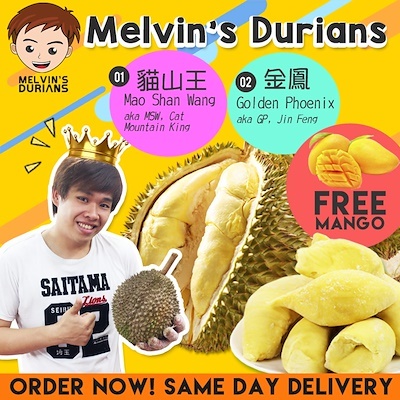 Melvin’s Durian is known for offering fantastic deals and discounts on their products. Their promos range from Buy 4+1, 7+2, to Buy 5+1, and 8+2. The promos are applicable only on certain varieties of durian and not all of their products. There are also times when the shop offers fresh fruits like mangoes and coconuts for every purchase of durian. Aside from phone reservations and home delivery, the shop also offers store pickup. This option is usable within a week (7 days) after the payment date. Cancellation will be accepted within 1 day from payment date. Schedule for store pick up is 6:00 PM to 8:00 PM daily. 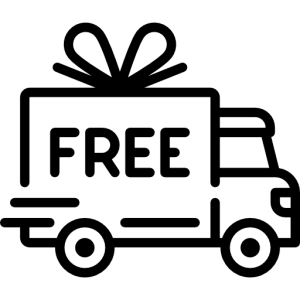 – Free delivery is offered for purchases above $80. – A fee of $12 is charged for delivery purchases below $80. Please take note that prices may vary. It may go up during off-peak season and go down during peak season. Your free delivery is for purchased above 80dollars?